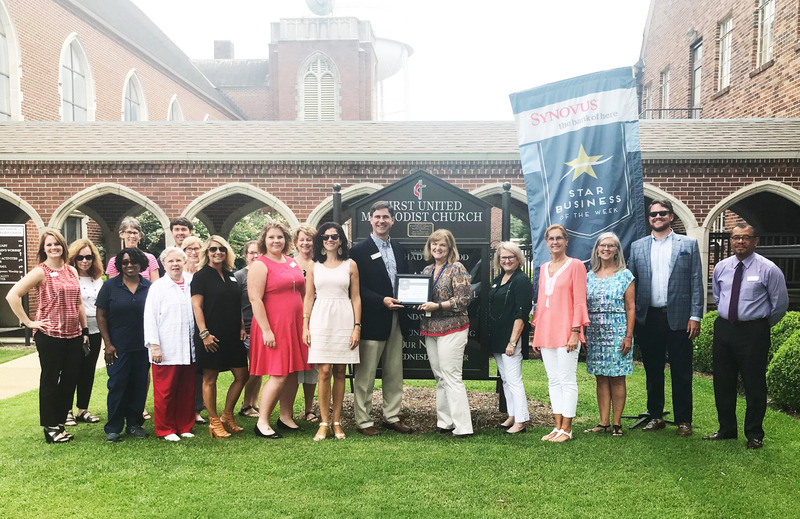 Congratulations to the Albany Area Chamber of Commerce Star Business of the Week, First United Methodist Church, Albany! First United Methodist Church has been serving the Albany community for 175 years, historically seeking to live out the example of Jesus in both the inward journey of belief and the outward journey of compassionate behavior. Visit their website at www.FirstMethodistAlbany.com for more information about planning a visit. This entry was posted in Star Business of the Week on July 16, 2018 by Mandy Kavanaugh.